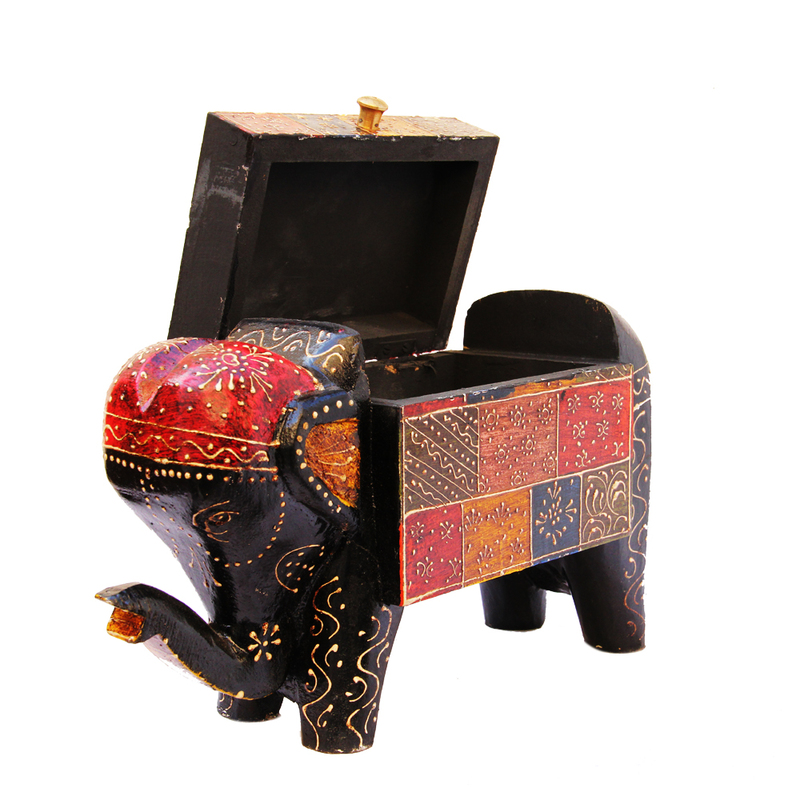 Opt for this Elephant Shaped Multicolor Embossed Box in Wood if you wish to lend an interesting touch to your home décor without having to Read More..go over the top. 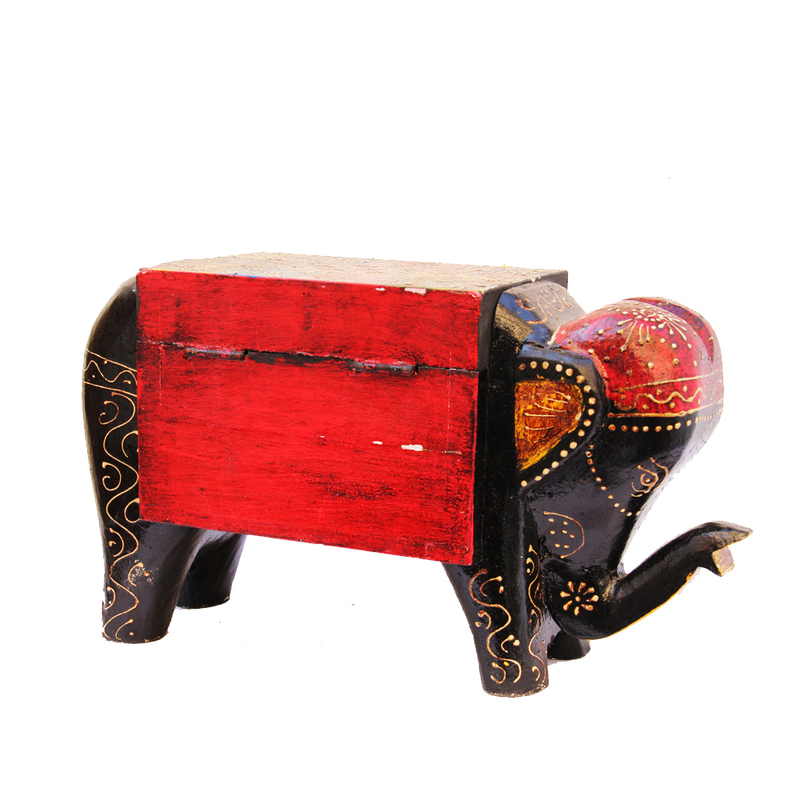 The exquisitely carved elephant shape out of the finest quality wood makes this box the ideal addition to any shelf or tabletop in the house. 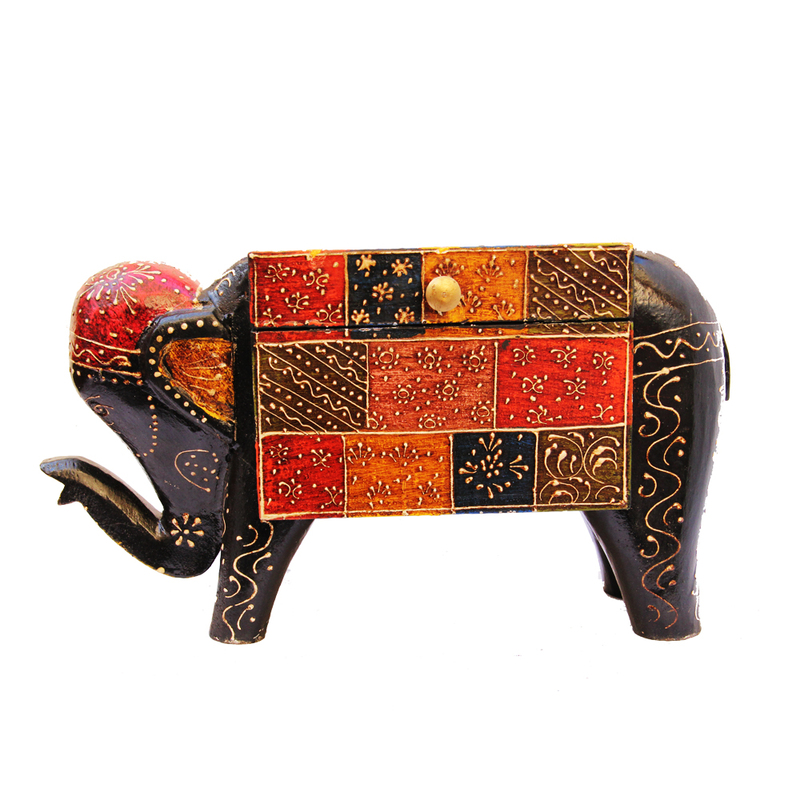 Moreover, the intricate design work on display through the embossment in multiple colors in the wooden body of this box adds to its visual opulence, and makes it fit for the most regal of households. Show Less..